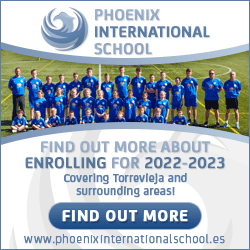 After another successful season and a well earned rest during the summer, Torrevieja Swimming Club is ready to start their training regime for the 2009/10 season, which will be the fourth season for the club. Fully registered and affiliated to the Valencian Swimming Federation, Torrevieja Swimming Club has over 40 swimmers of all ages and levels. Last season, three of its swimmers qualified for the Valencian Championships, with two of those swimmers just missing qualifying times for the Spanish National Championships. This season, the Club want to go at least one step better and make sure we are represented at those National Championships for the first time in our history. The Club competes in the Alicante Swimming League and in various competitions throughout the Alicante region at every level and age group and this season we are looking to increase the number of swimmers within the Club. Everybody is welcomed to this friendly, well run club. We have swimmers from the ages of seven upwards in both the boys and girls groups. We train most evenings at the main, Olympic sized swimming pool in Torrevieja which is considered as the best facility of its kind in the Alicante region. 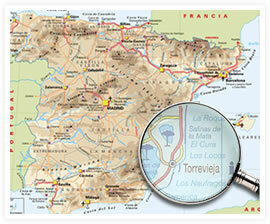 To find out more information about Torrevieja Swimming Club, please contact Eddie Cagigao on 637 86 96 02.